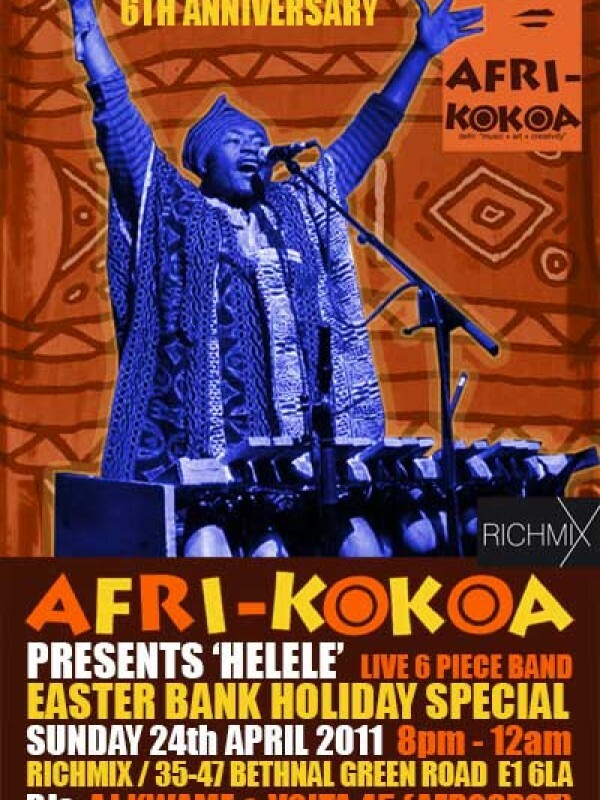 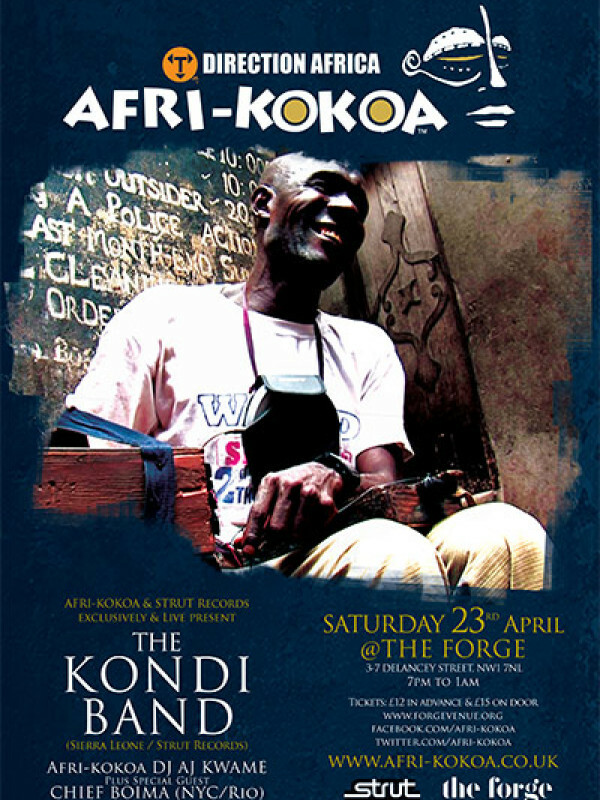 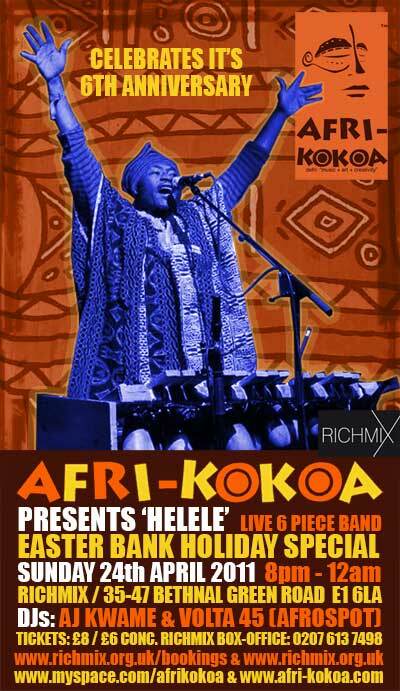 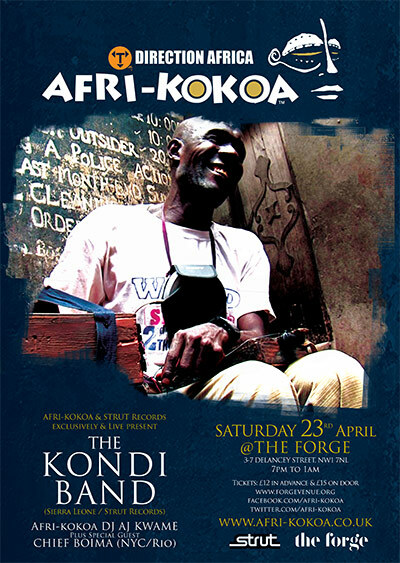 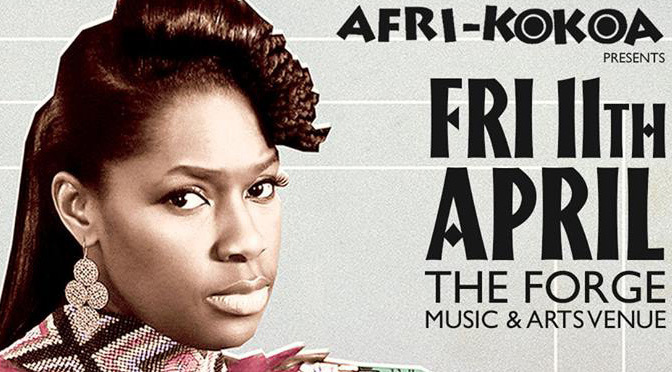 On 23rd May 2016 Afri-kokoa exclusively presented the debut live performance by one of the very best contemporary new african acts, The Kondi Band. 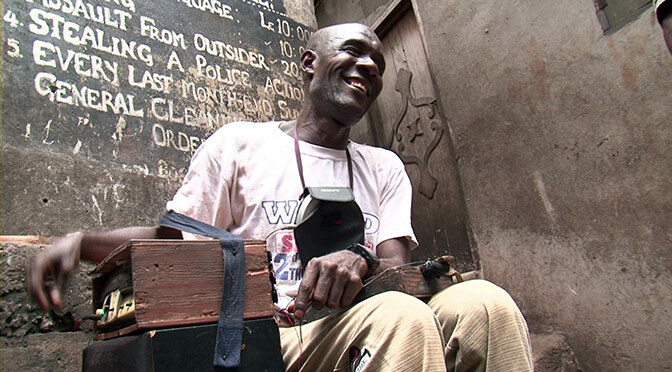 You can watch the full performance by the amazing blind thumb piano player and singer Sorie Kondi from Sierra Leone with Rio-based New York producer Chief Boima. 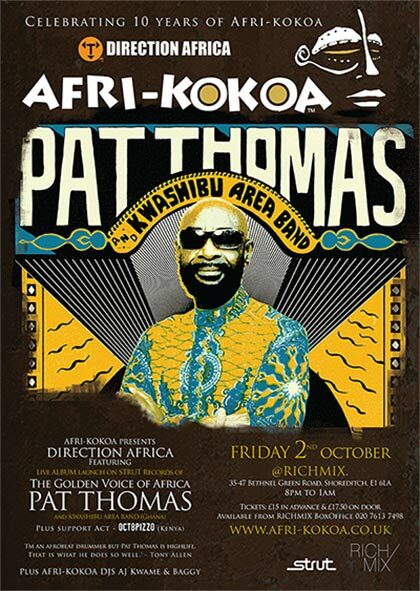 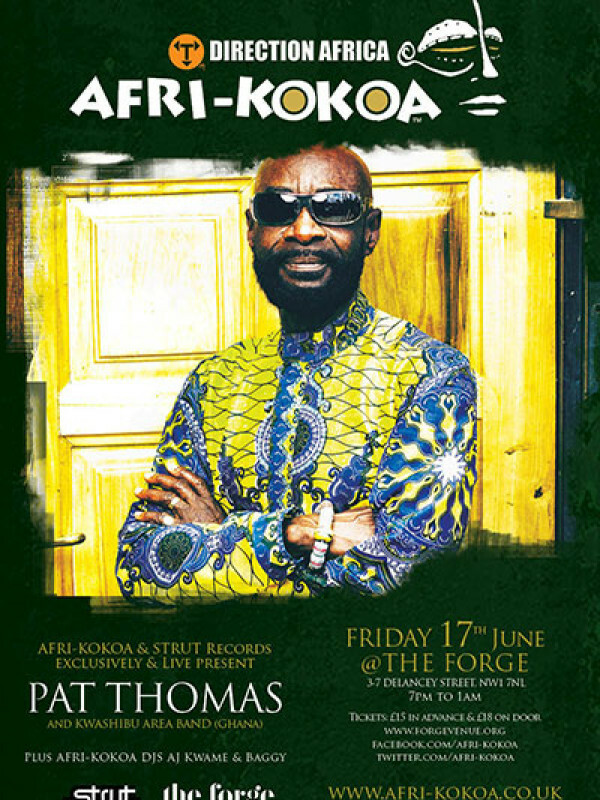 Celebrating 10 years of AFR-KOKOA we are proud to present the exclusive live Album launch for the legendary King of Highlife, PAT THOMAS, ‘The original Golden Voice of Africa’, performing with his group of stellar musicians direct from Ghana, The KWASHIBU AREA BAND. 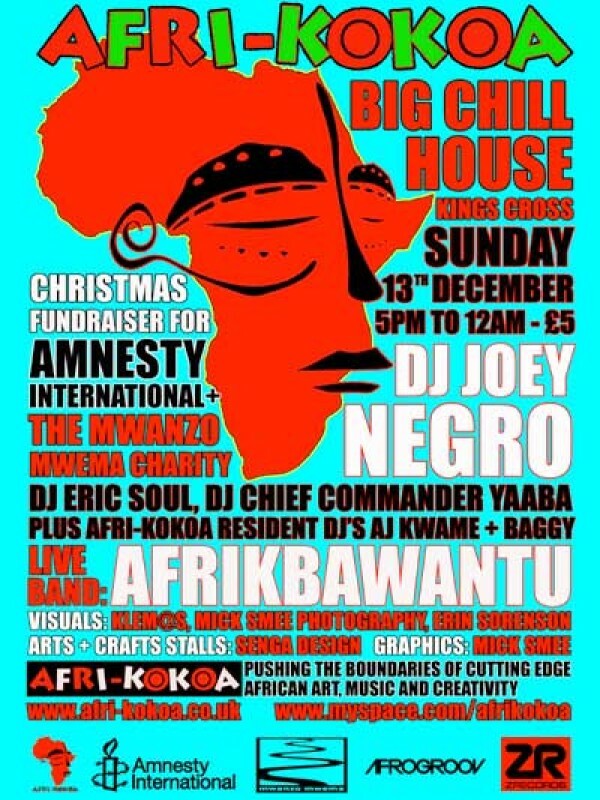 Also just added exciting young hip-hop artist and activist Octopizzo. 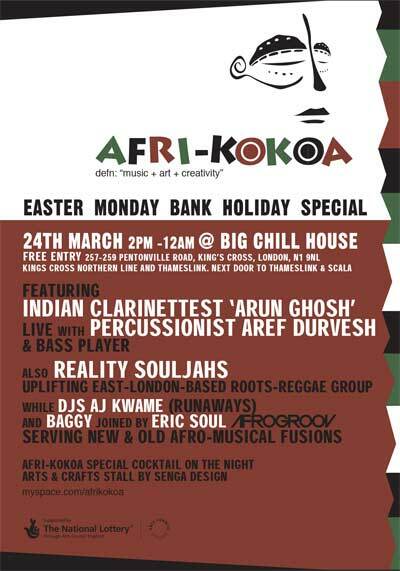 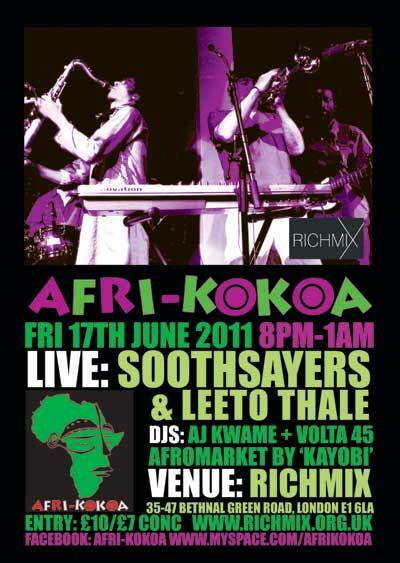 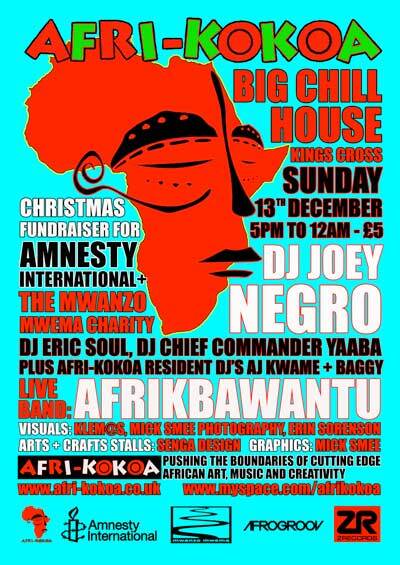 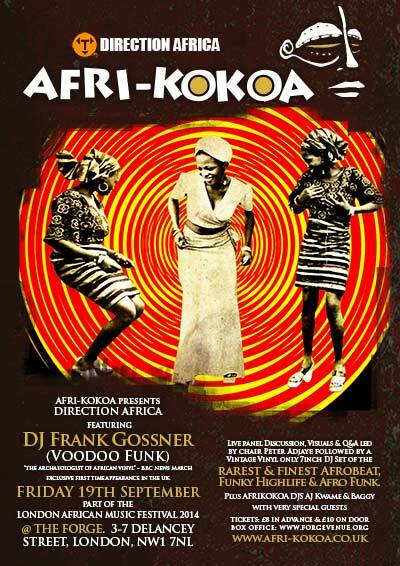 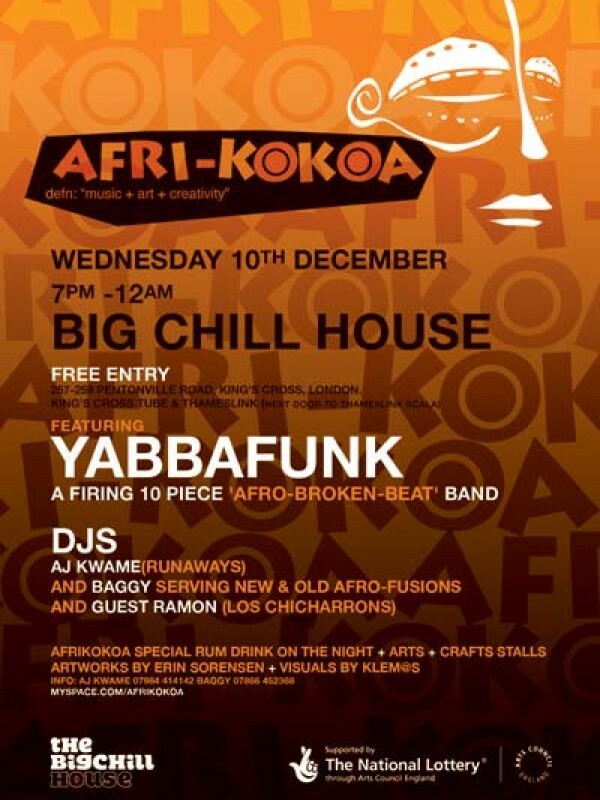 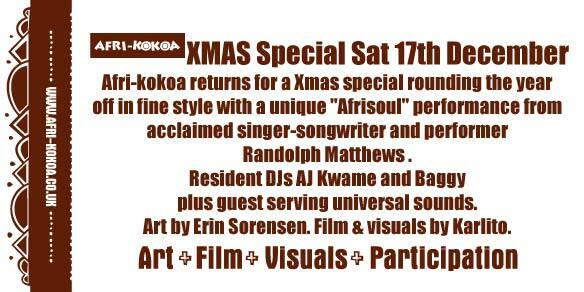 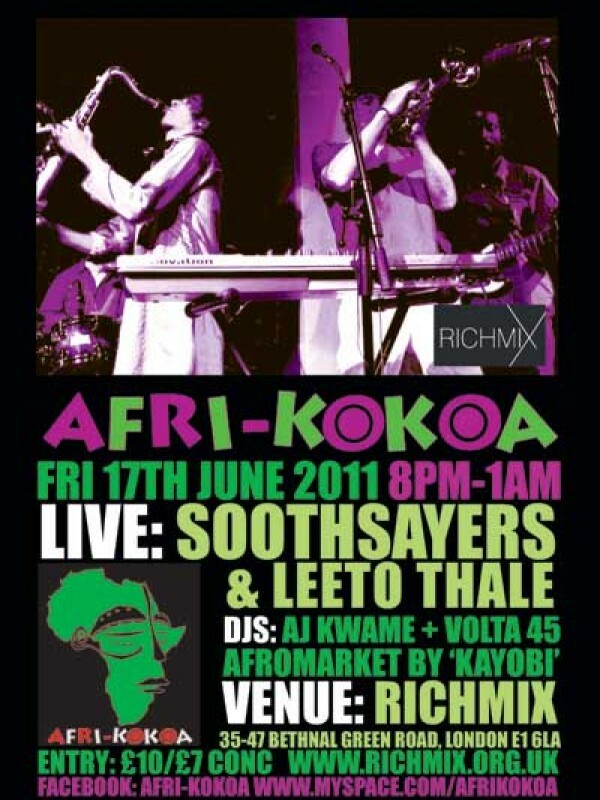 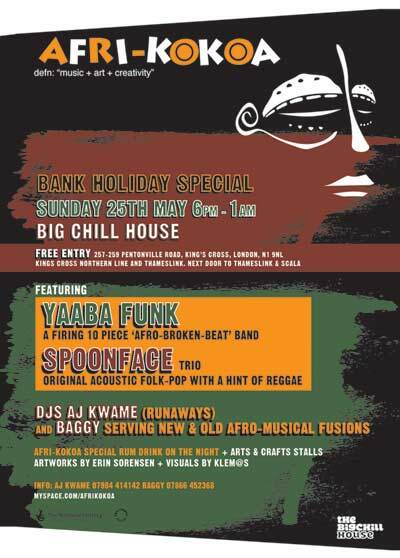 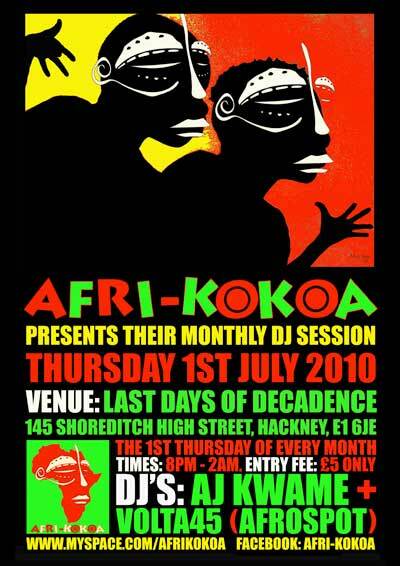 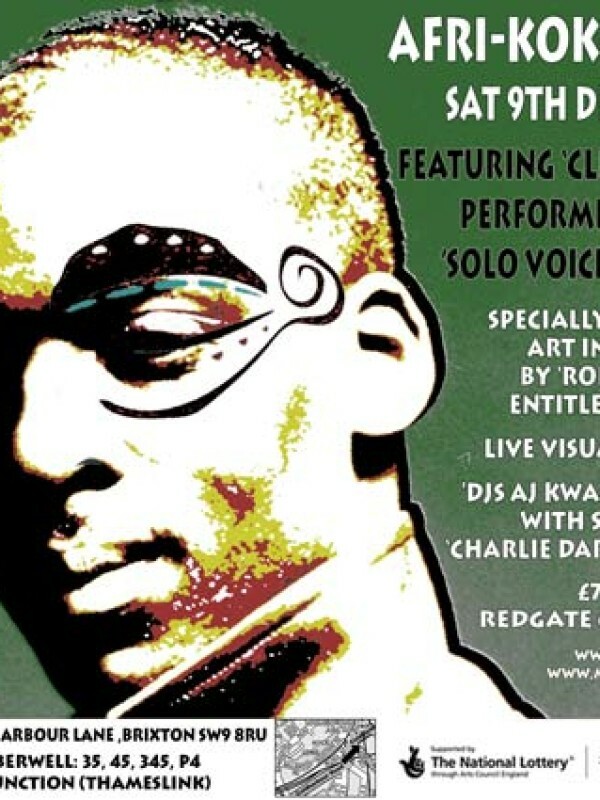 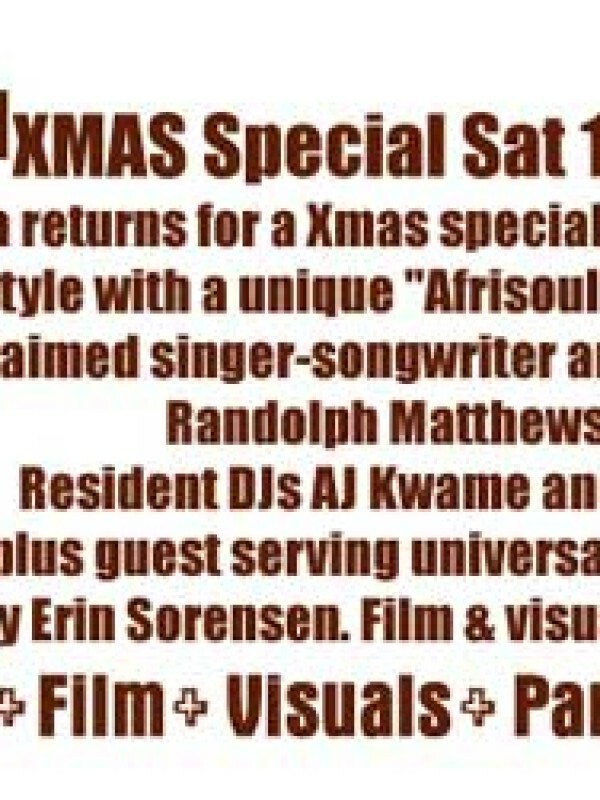 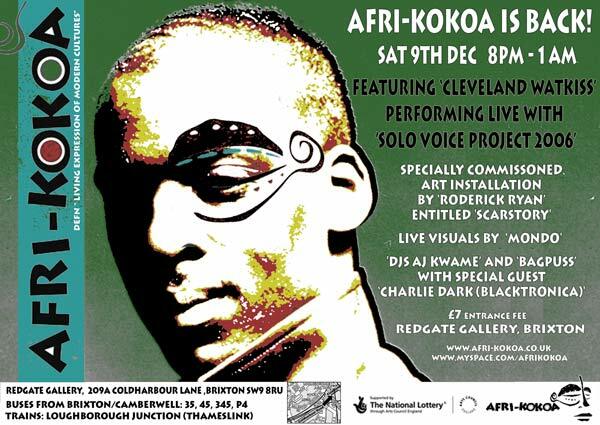 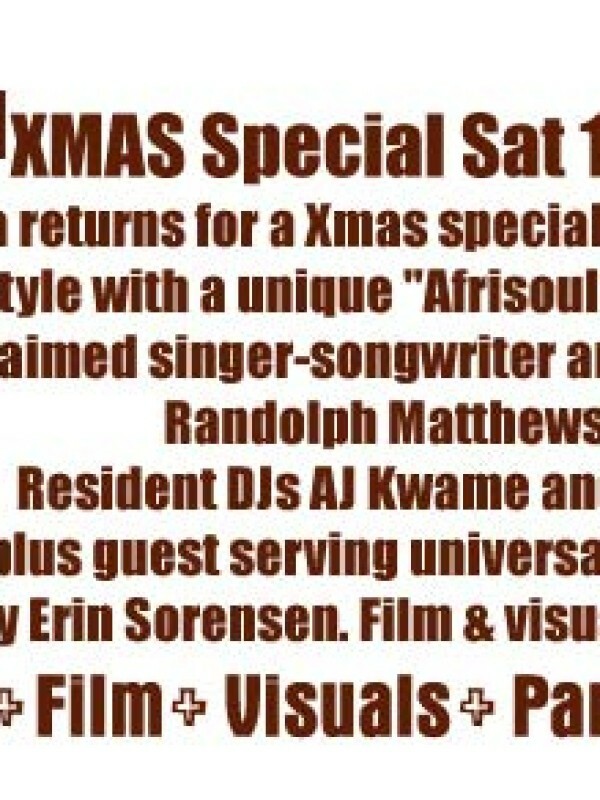 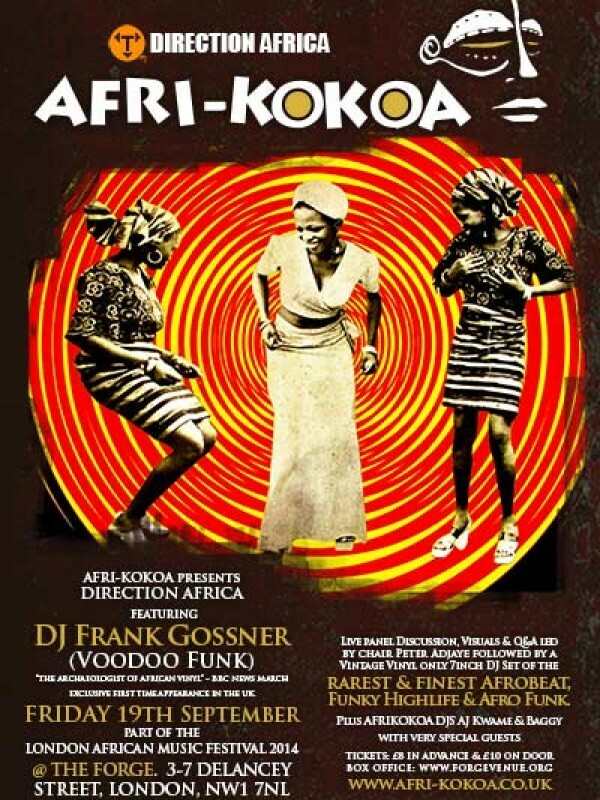 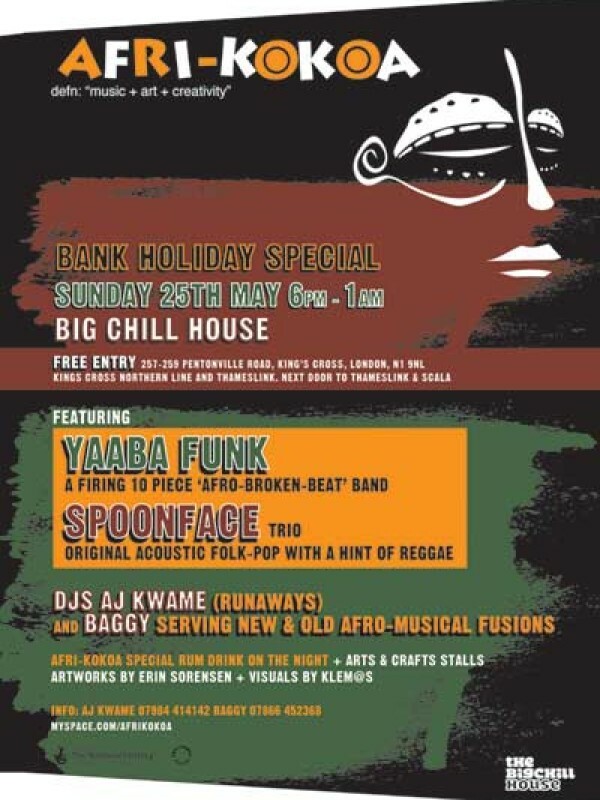 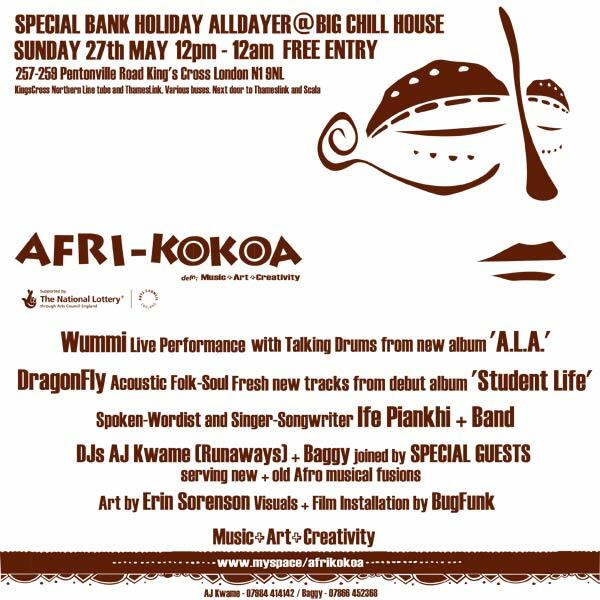 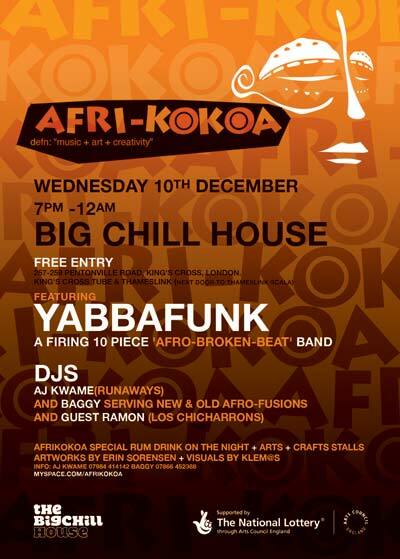 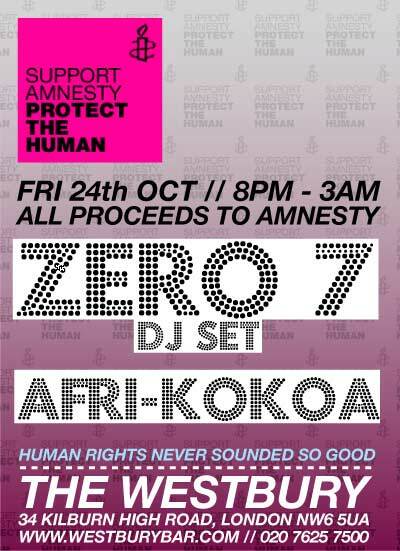 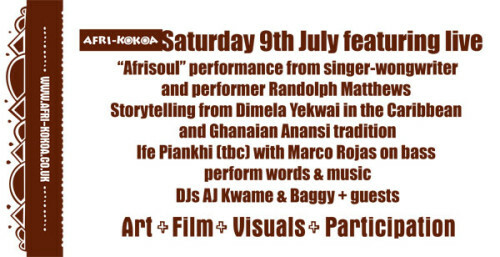 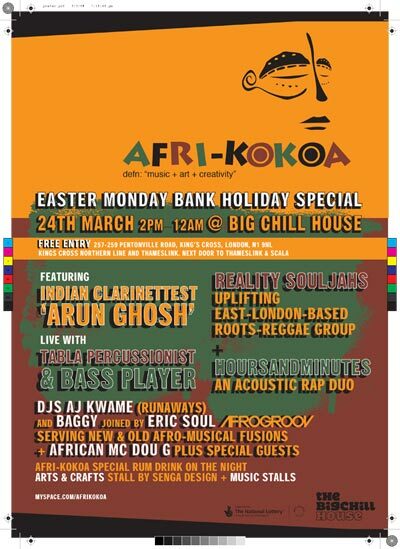 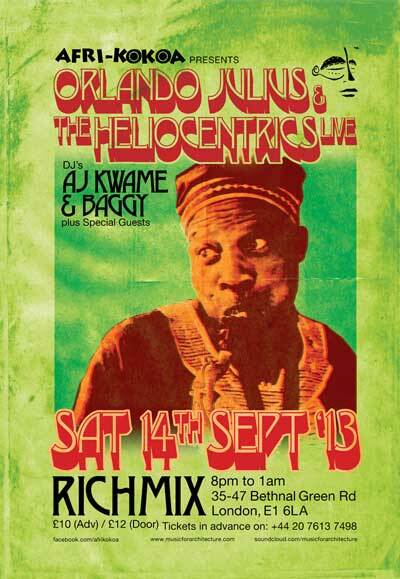 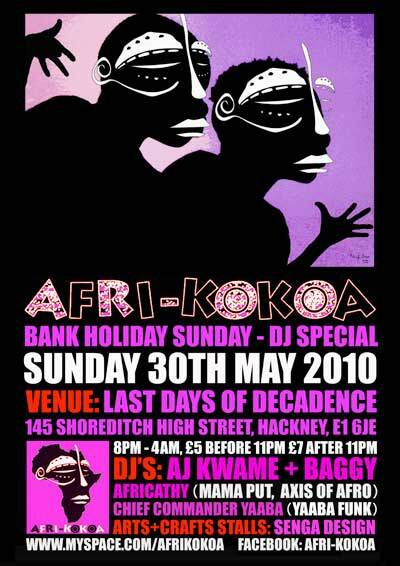 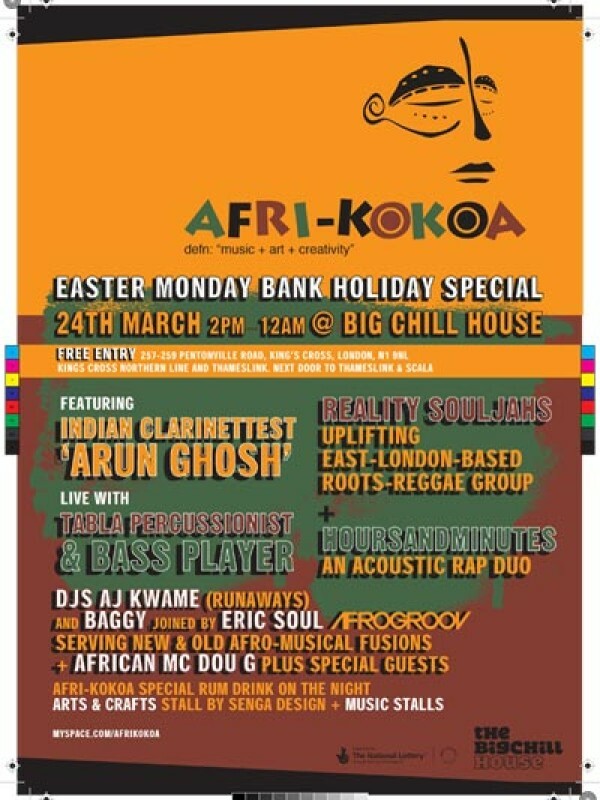 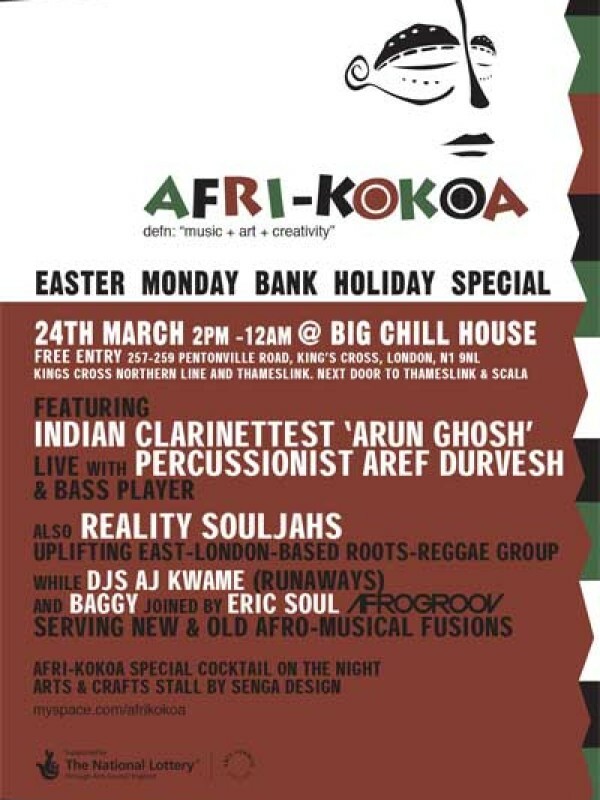 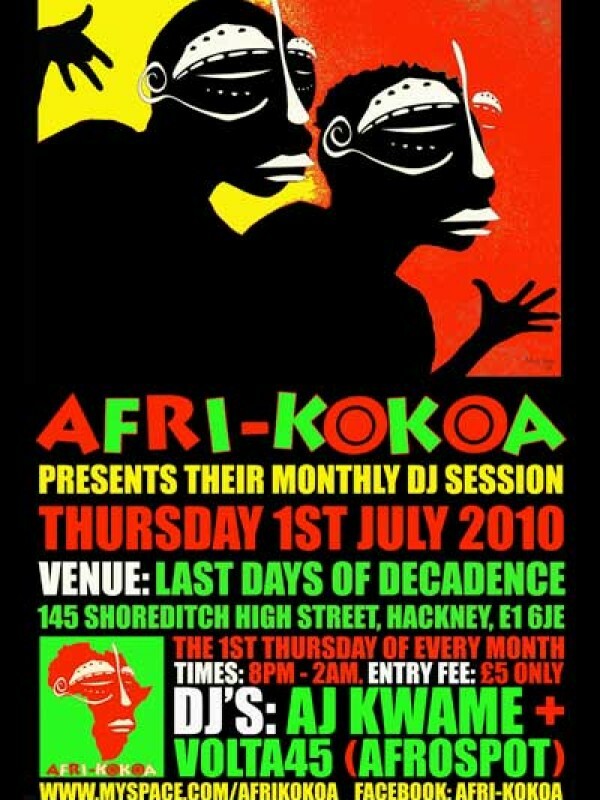 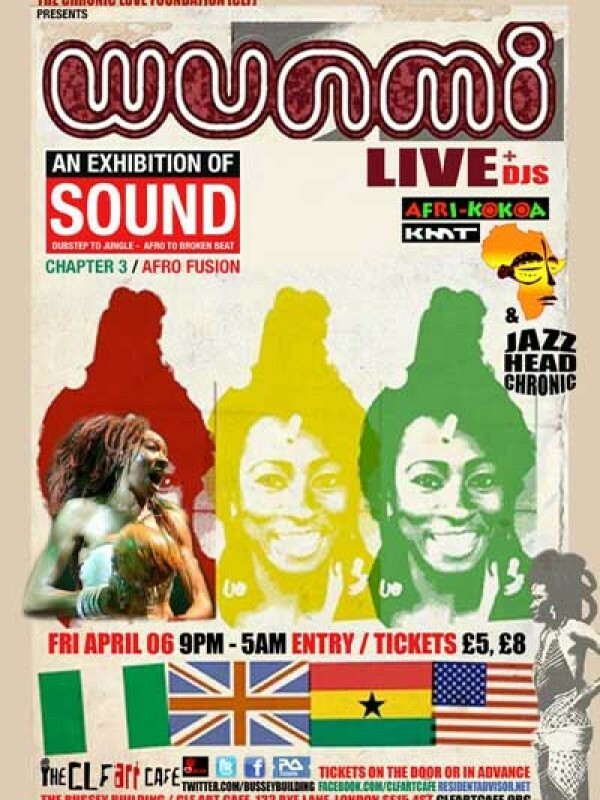 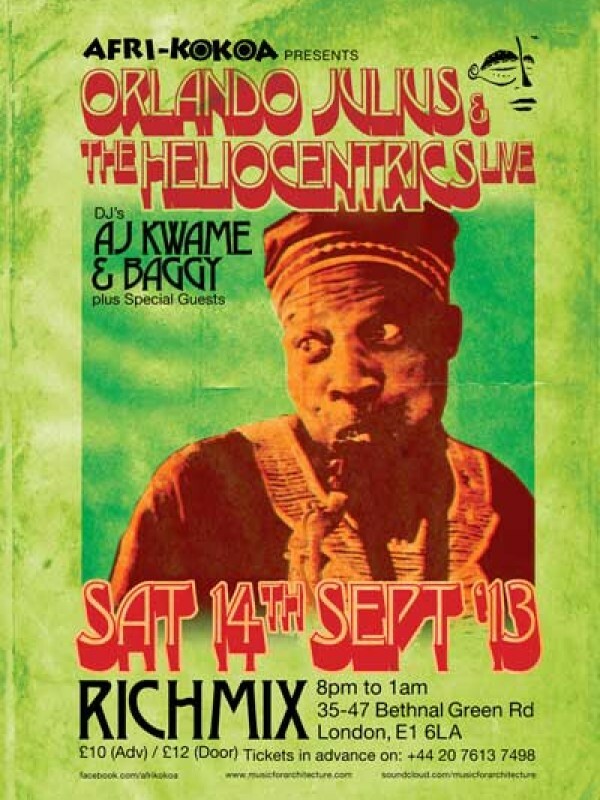 AFRI-KOKOA DJS AJ Kwame and Baggy and Special Guests in attendance. 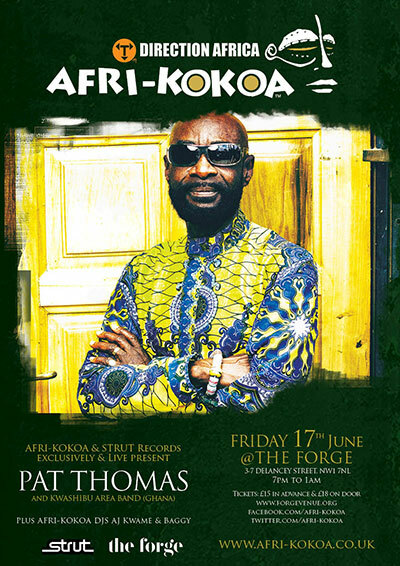 In the early 70’s Pat Thomas came to Accra to join a band known as the Blue Monks under the leadership of Ebo Taylor. 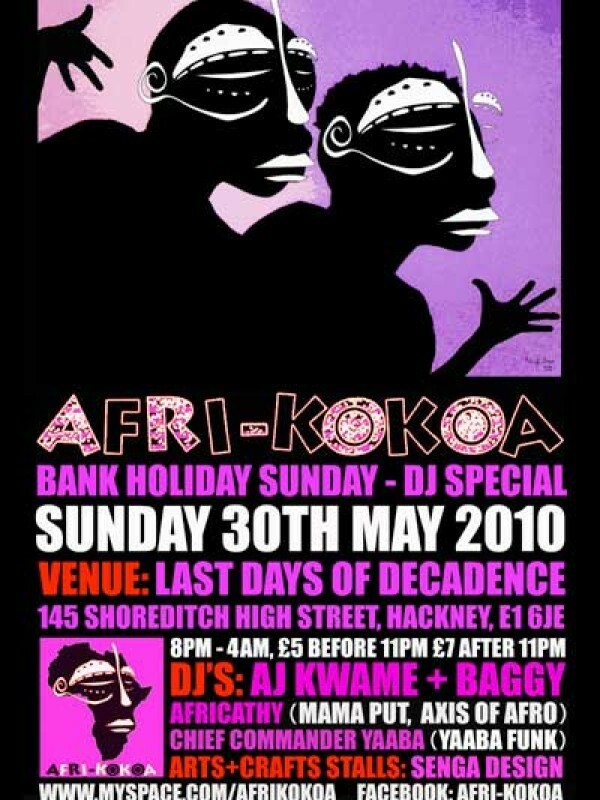 This was the resident band of Tip Toe Nite Club. 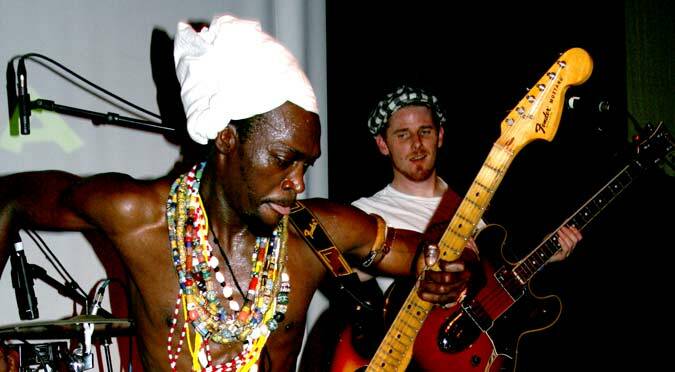 During one of his shows, one lady fell in love with his voice and signed him up to go to Ivory Coast to form a group called The Satellites. 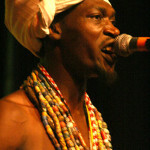 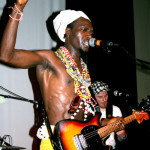 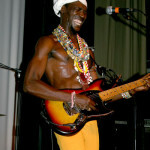 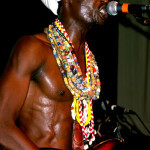 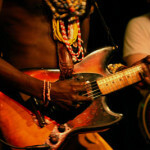 He later came to Ghana to form the Sweat Beans Band which became the band of choice during the Kutu Acheampong Era. 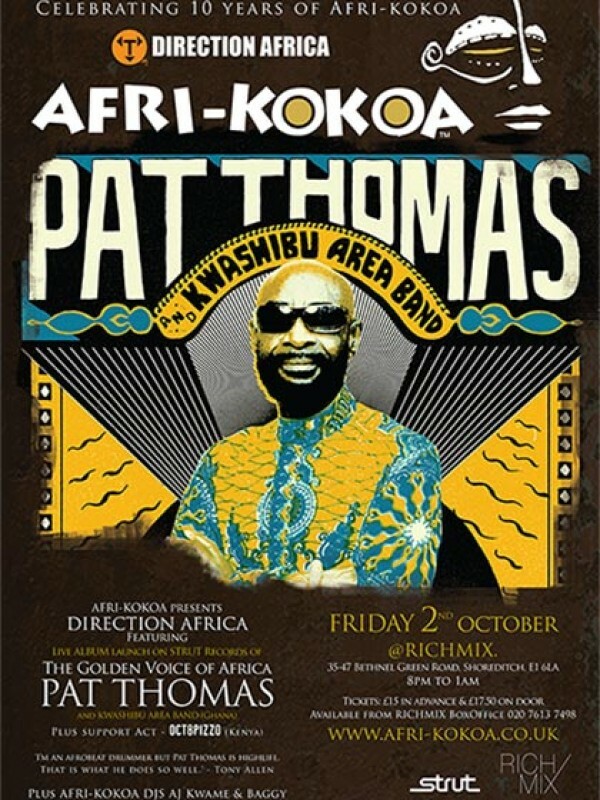 Pat was crowned Mr. Golden Voice of Africa in 1978 and won the ECRAC award of the year at the same time. 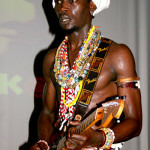 In 1991 he also won the Album of the year with his Sika Ye Mogya. 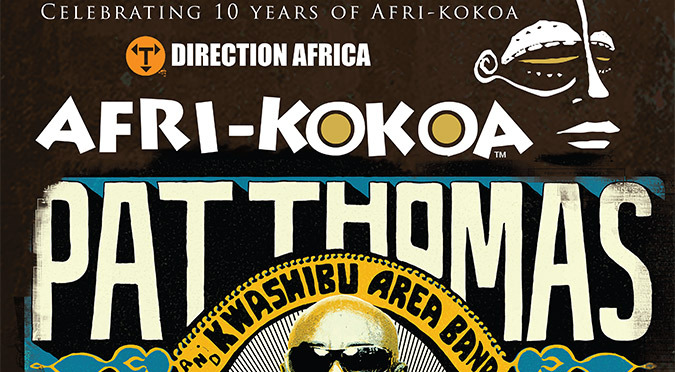 The new album is out now on STRUT records features the dazzling talents of some of the very best and the most pioneering musicians of Africa, Tony Allen and Ebo Taylor. 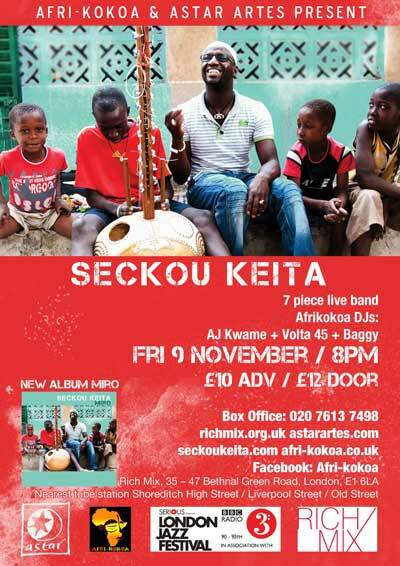 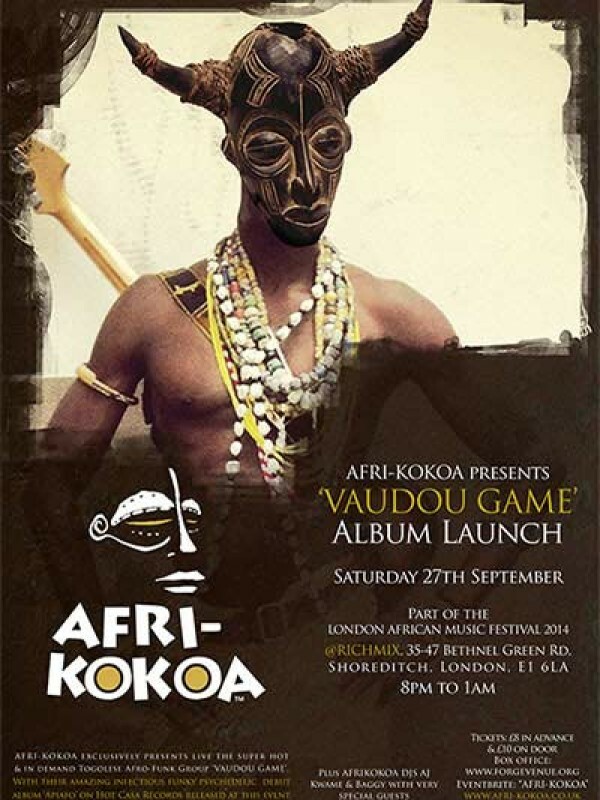 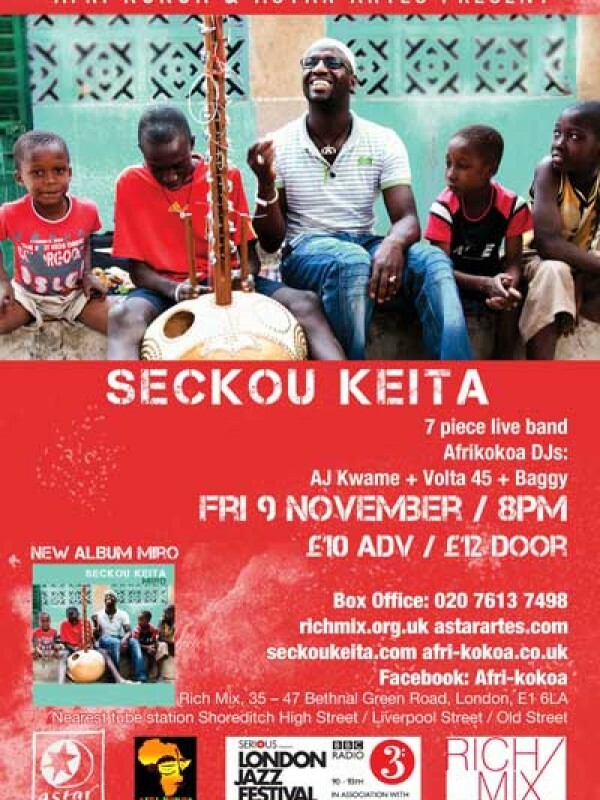 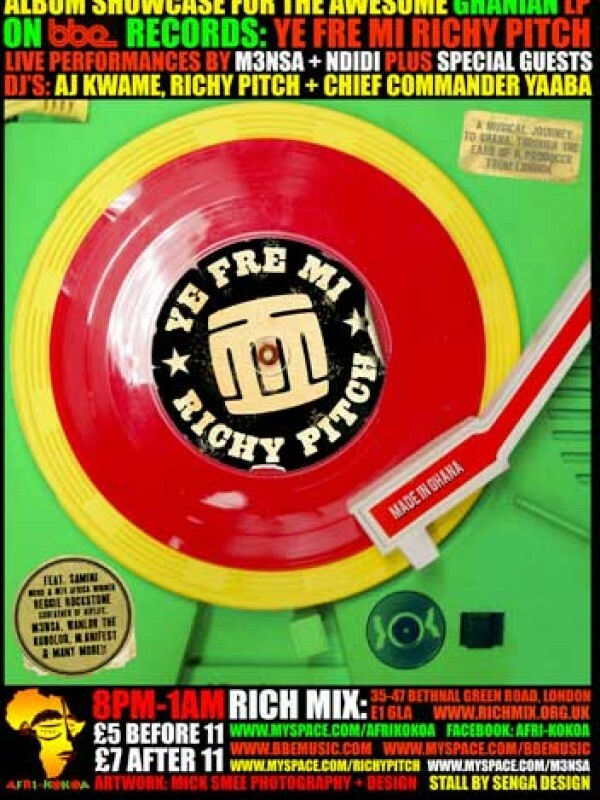 On 27th September@RICH MIX London AFRI-KOKOA presented the album launch party for ‘Apiafo’, the new vaudou inspired Afro-funk album by ‘VAUDOU GAME‘. 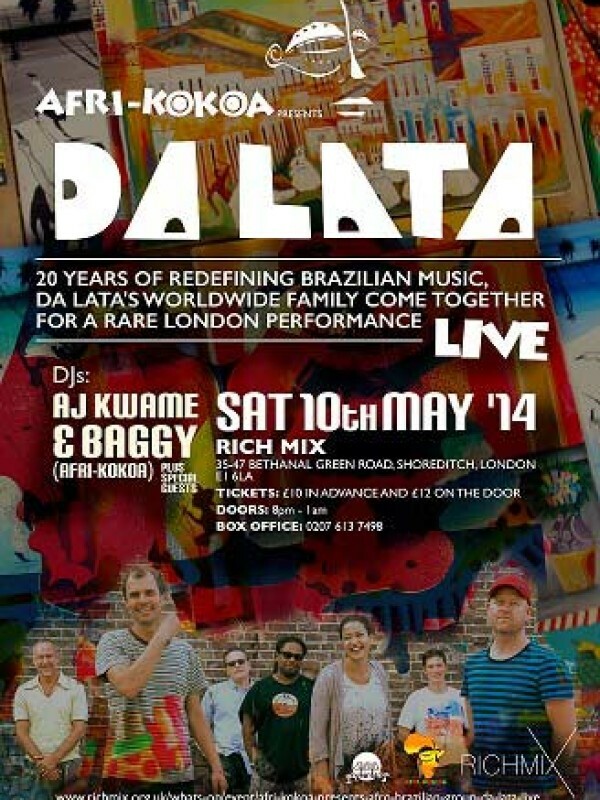 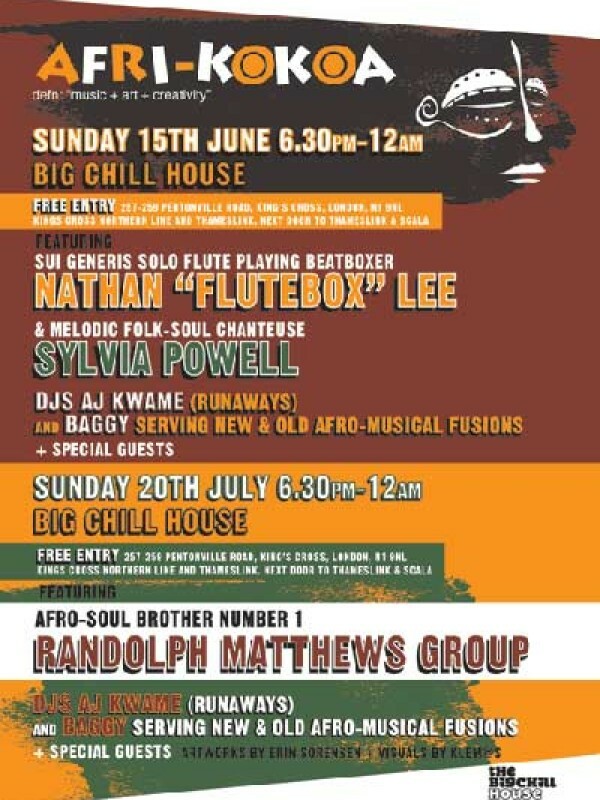 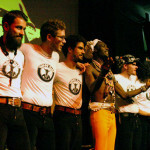 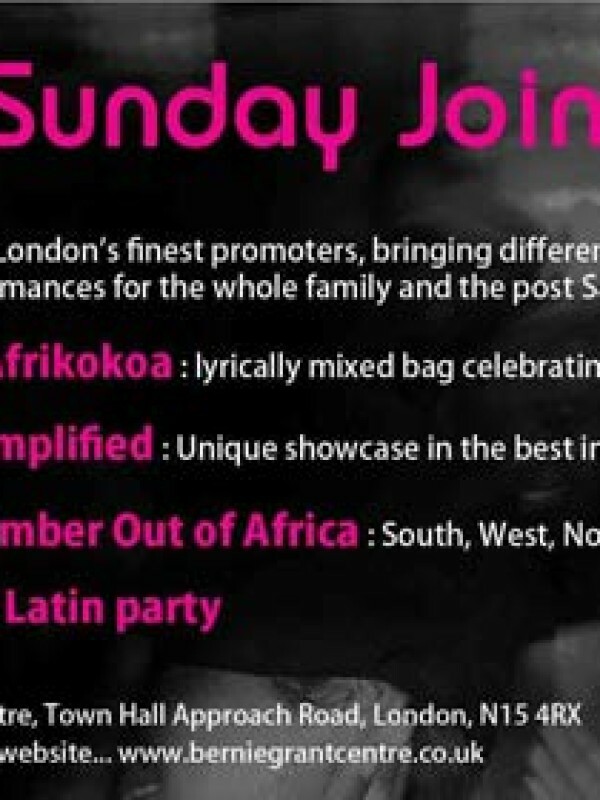 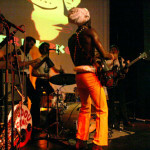 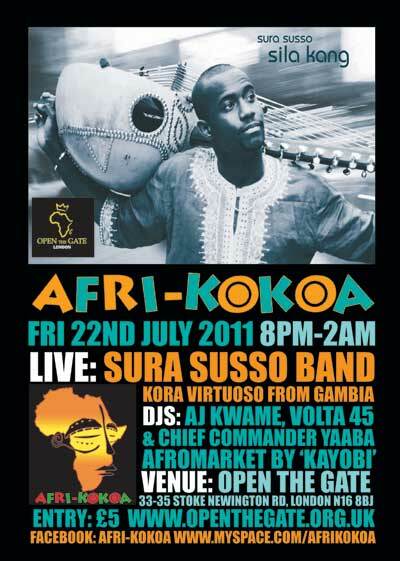 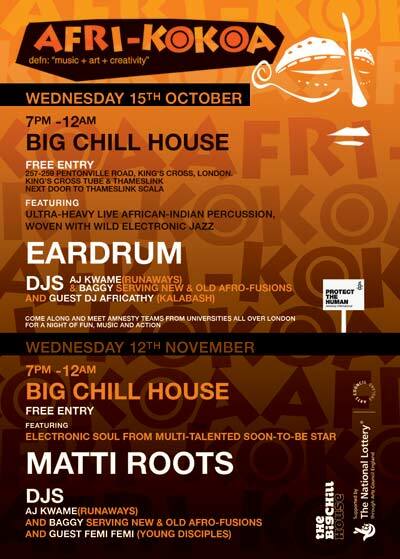 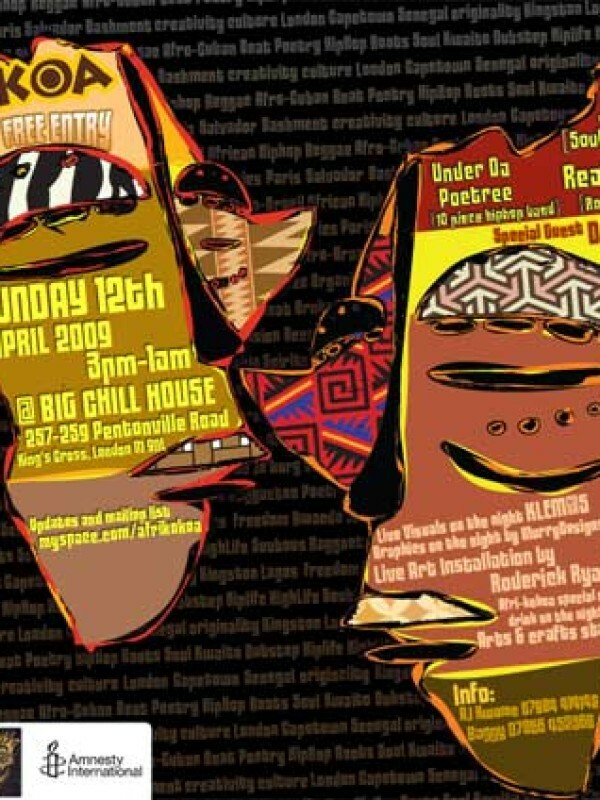 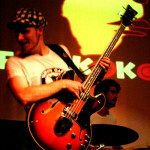 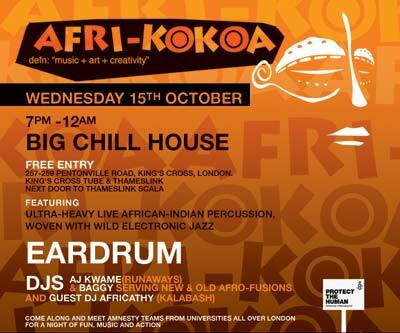 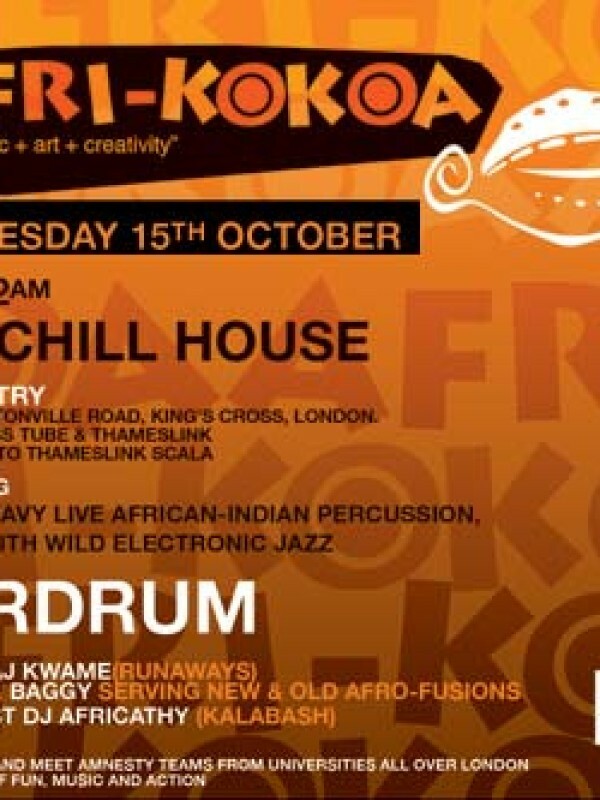 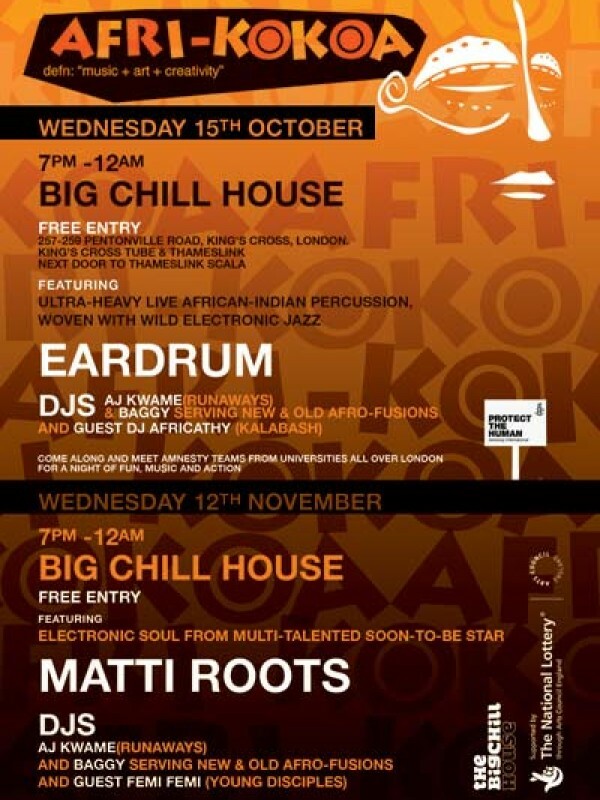 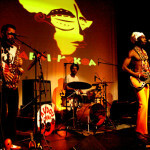 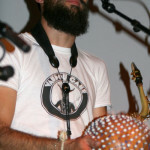 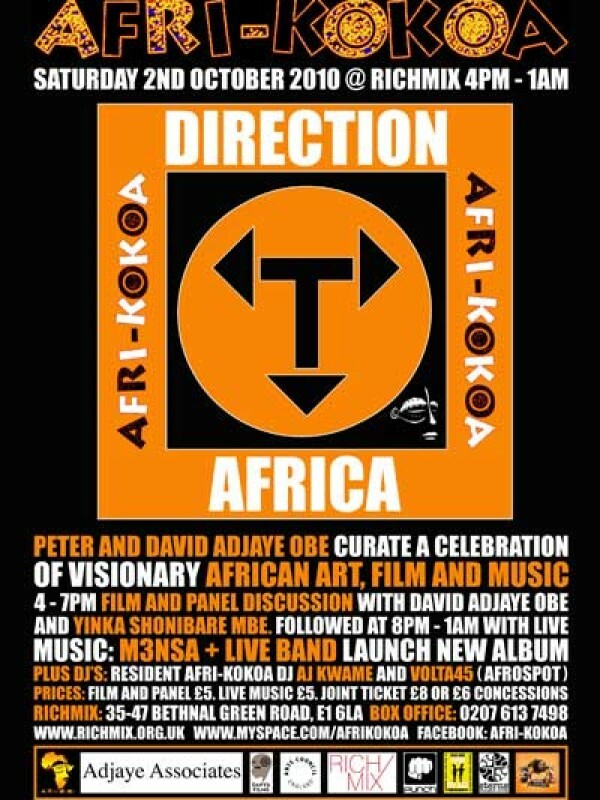 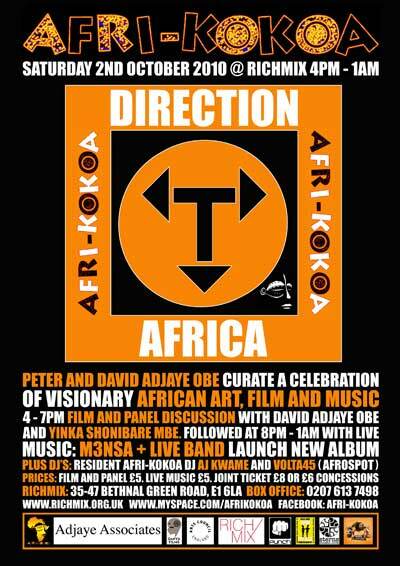 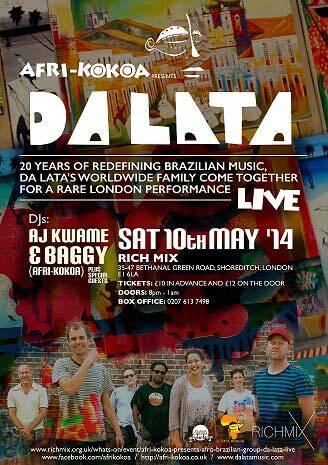 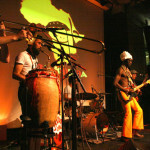 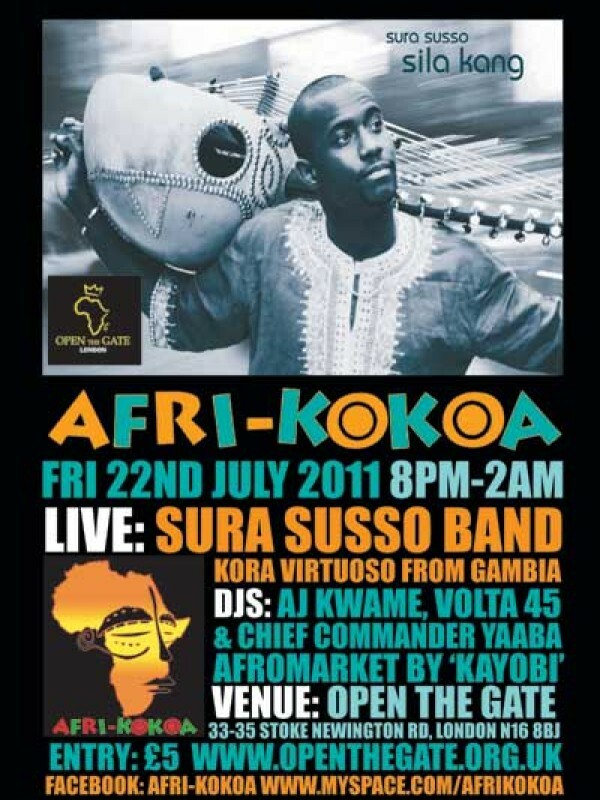 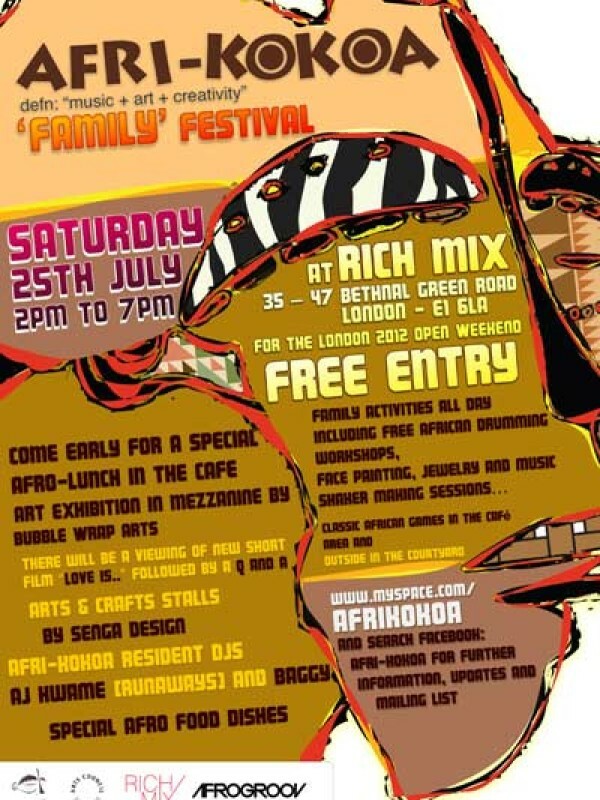 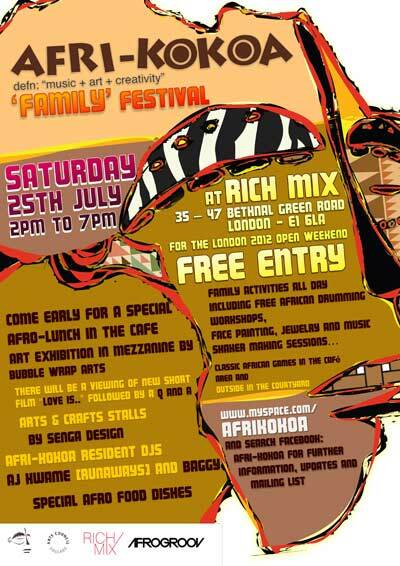 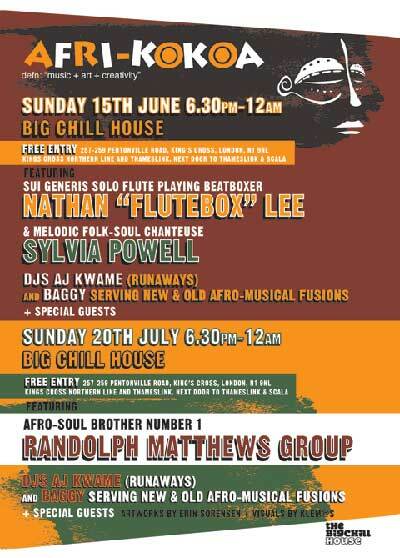 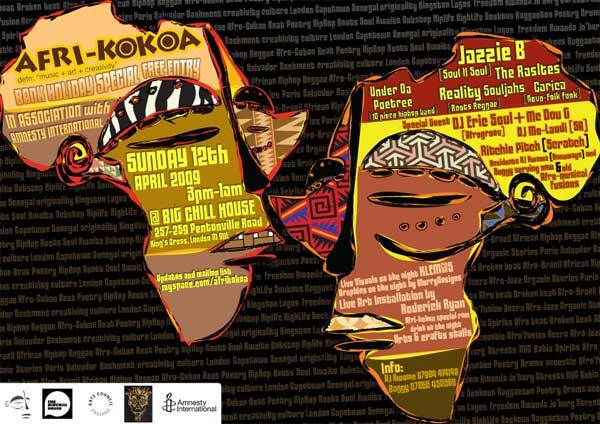 This hot event was part of the LONDON AFRICAN MUSIC FESTIVAL 2014. 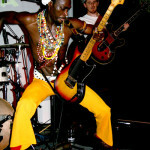 Check out the photos below (Copyright Gavin Durrant) and leave a comment if you were there. 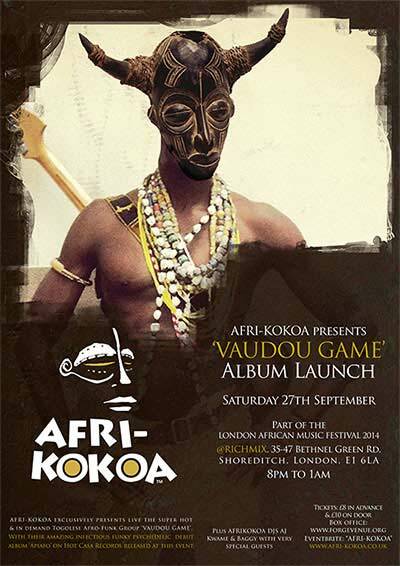 “VAUDOU GAME” milk the applause from an energetic crowd. 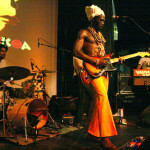 Bass man and drummers lay down the hynotic rhythms. 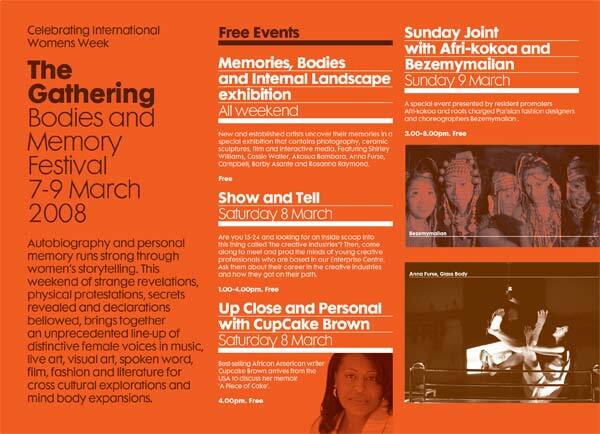 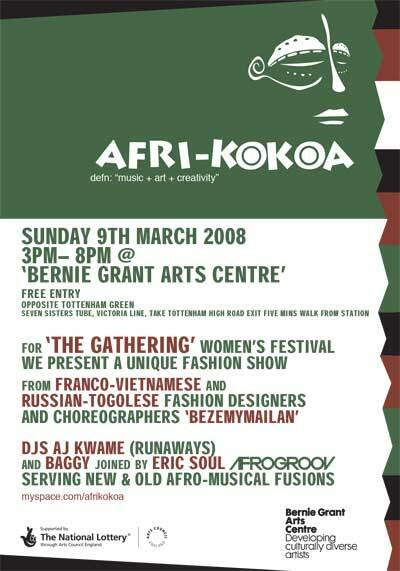 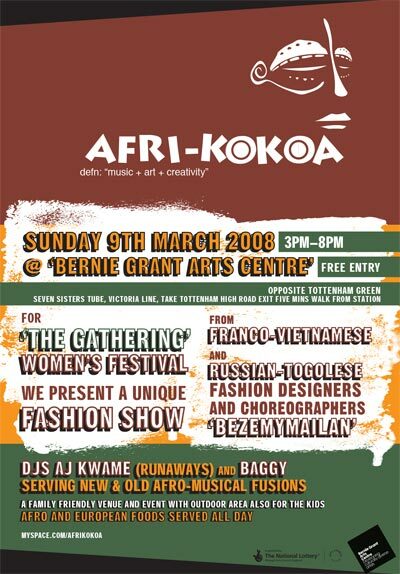 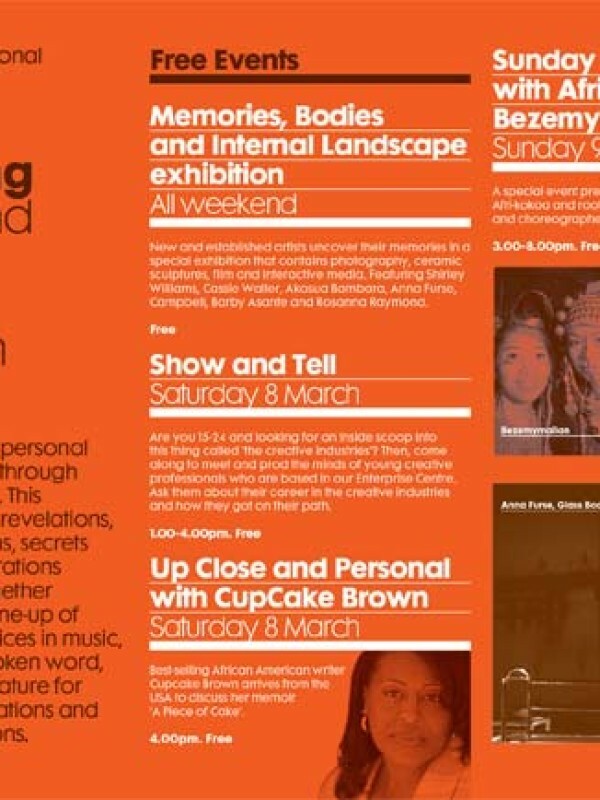 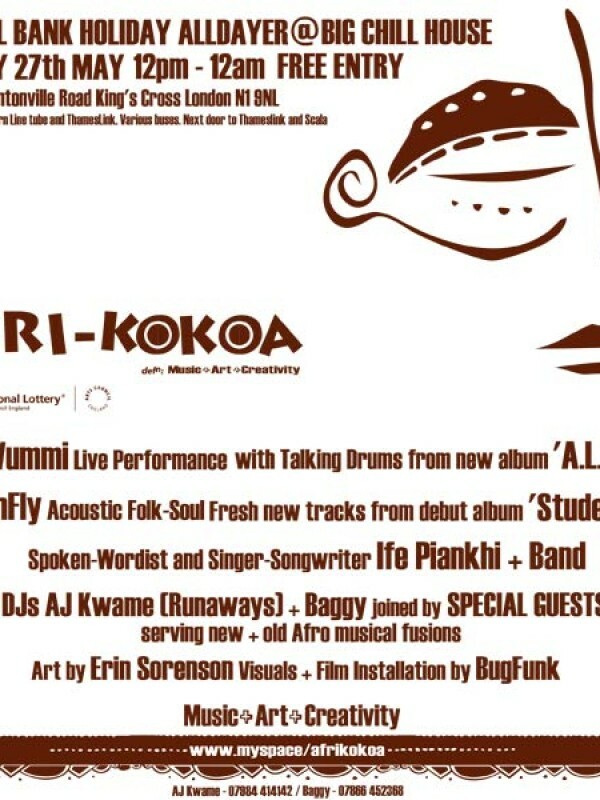 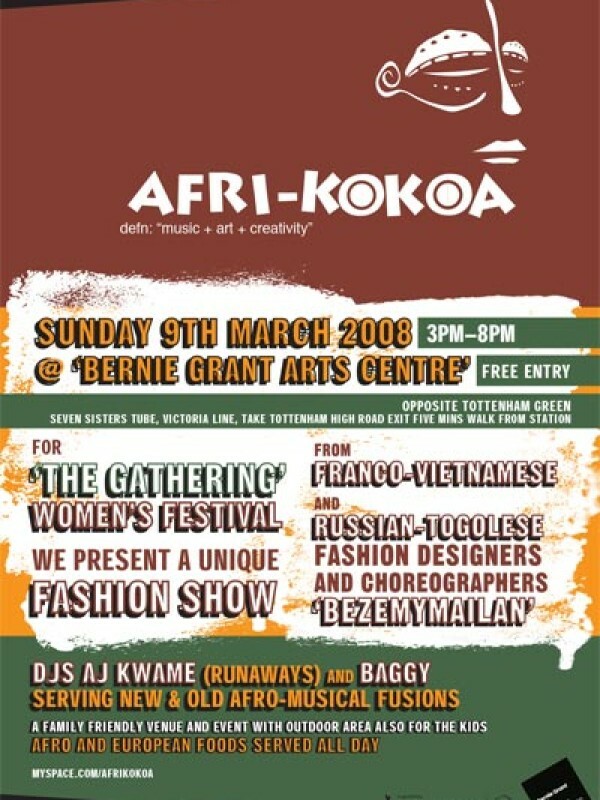 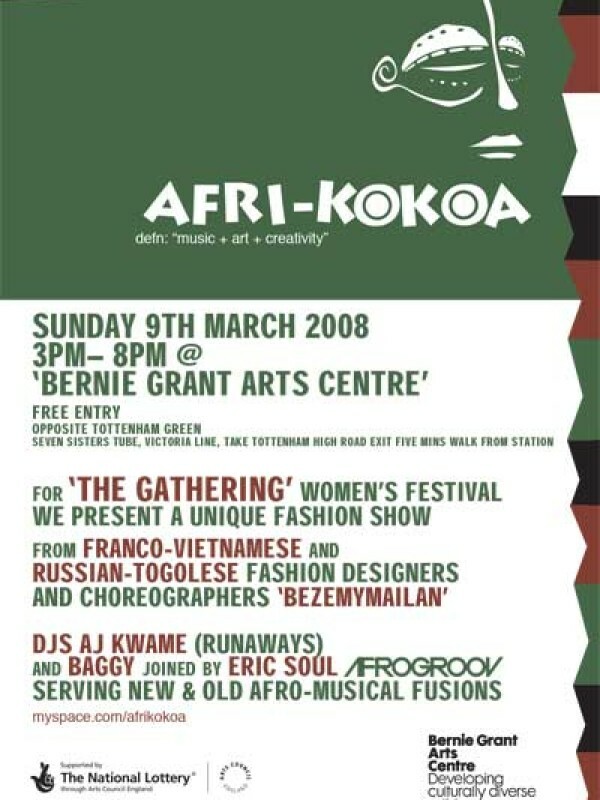 This flyer gallery shows the breadth and quality of the afro-arts programme AFRI-KOKOA has delivered since we launched on 11th June 2005…yes it’s almost 10 years and we’re still waving our flag!